We’re one of the most trusted names in the UK and proud of our reputation as professional estate agents. Rated excellent on TrustPilot, creating great customer experiences is at the heart of what we do. A MyMove account gives you complete control over your sale, let, purchase or tenancy. Access to your property journey, whenever you need it. Setup and save your sale and rental property searches. 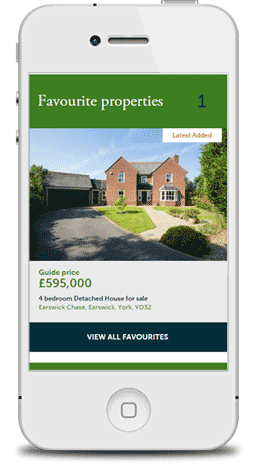 Save, rate and organise your favourite properties. Be the first to know when your favourite properties changes price or if new matching properties go on sale or to rent. Keep track of all your viewings, offers and the progress of your sale online 24/7. Telling you about all the online activity that’s taken place on your home. We offer a comprehensive service with thousands of local property experts and our own qualified financial consultants. Looking to buy? Your Move has thousands of properties for sale and will help find you your new home. If you’re thinking of selling soon or just curious about what your home might be worth. We have rental properties nationwide, with a wealth of experience in finding tenants their perfect home. As a letting agent, we understand your rental needs and will work with you to get the best result.